Focused on becoming a leading developer of service robots in the next decade, LG Electronics will unveil to the public at IFA 2018 its first "human-centric" wearable robot. But unlike previously announced robots from LG such as Guide Robot, Cleaning Robot and Serving Robot, the LG CLOi SuitBot doesn't navigate airport lounges and hotel hallways by itself. What it does is support and enhance a user's legs to allow for more mobility and lower limb strength. 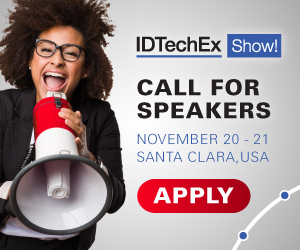 For more information see the IDTechEx report on New Robotics and Drones 2018-2038 and Wearable Technology 2018-2028. And LG CLOi SuitBot can connect to other LG service robots to become part of a smart working network to deliver information and tools required at work sites such as manufacturing, logistics and distribution. LG CLOi service robots are being developed as part of LG's larger AI initiative for the commercial sector. AI technology allows LG CLOi SuitBot to learn and evolve through the recognition and analysis of biometric and environment data, measuring and analyzing movements to suggest optimal movements and stances for maximum power efficiency. "LG CLOi SuitBot is evidence of our full commitment to expanding our portfolio of service robots that deliver tangible convenience and innovation in our lives," said Song Dae-hyun, president of LG's Home Appliance & Air Solution Company. "It's just one example of a wide range of revolutionary AI products designed to interact with users to dramatically elevate user convenience and create new opportunities to advance our robotics initiative into a next-gen growth engine."